In this edition of Throwback Thursday, Buzzerblog takes a look at the originators of the game show video game. When Nintendo released the original Game Boy in 1989, it changed the habits of video game players the world over. The bulky gray box with the pea-soup screen set free the millions of people whose pixellated adventures were shackled to the confines of a plastic-covered sofa and woodgrain television console. However, one would be advised to bite their tongue if one said this was a mere toy—with cartridges that varied in genre, from word games like Scrabble to role-playing adventures like Pokémon, the Game Boy appealed to players of all ages. Indeed, many businesspeople of the 90s carried their Game Boys on the train to work as often as schoolchildren snuck theirs onto the school bus. Ah, but it wasn’t always this way. 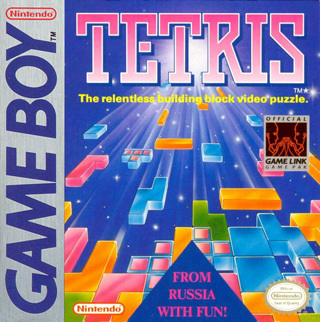 You see, while Nintendo was preparing to release its newest creation, there was a choice to be made; namely, “What game are we going to bundle with the Game Boy?” The obvious choice was Mario; after all, the company’s decision four years earlier to pack Super Mario Bros. with their Nintendo Entertainment System ensured that many kids’ Christmas lists for the next few years would all start with a capital M. However, it was decided by the people in charge that including with the console a copy of the latest computer puzzle game sensation, a Russian import, could possibly even make those kids’ parents want a Game Boy all to themselves. Their theory worked, and to this day, the Game Boy version of Tetris has sold over 30 million copies. But was Nintendo the first company to market a different kind of video game—one that appealed to older consumers who wanted to use their brains as much as their trigger fingers? Oh, no. Not by a long shot. Before the name Nintendo became synonymous with the entire video game industry, Atari was king. A consumer who was in the market for new video games to play would have had much to discuss with Atari back in the day—from its introduction in 1977 up until 1983, over 900 different titles were produced for the company’s flagship Video Computer System, also known as the Atari 2600. While the console’s graphics and sound quality lagged behind those of its main contemporaries, the Colecovision and the Intellivision, nobody could touch Atari’s game library. A prospective player could blast off into space, duel Wild West outlaws, sit down to a game of bridge, prepare fast-food burgers, and trek through the jungle—not to mention, of course, playing most of the arcade classics that made the 80s stuff of video game legend. 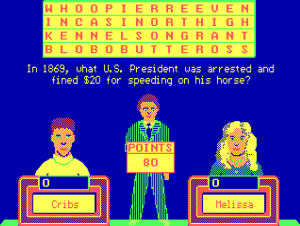 There was one as of yet untapped category, however—quiz games. Sure, the 21 and older crowd had games like Nutting’s Computer Quiz to hang out with during those lonely nights at the bar, but what about the average young Atari owner? 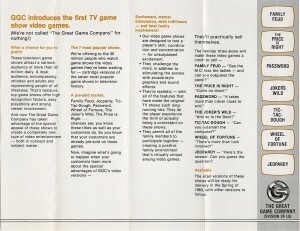 The Great Game Company came to the rescue in 1983 with a proposed line of Atari 2600 games based on popular TV game show properties such as The Joker’s Wild, The Price Is Right, and Tic Tac Dough. The company, a division of a larger game house called IJE, touted these offerings as a surefire sell; many of these games were based on shows that were still fetching high ratings in primetime and in syndication. Even shows that weren’t on the air in 1983—Concentration and Jeopardy!, for example—were still flying off toy store shelves in their Milton Bradley form. The Atari versions, in fact, were likely to have been bundled with board game-like content such as question books and score pads, since the memory limitations of an Atari cartridge would have prevented an entire game, material and all, to fit on one chip. In the history of video games, however, 1983 is a black year—soon after The Great Game Company announced their big game show plans, the video game bubble burst, hundreds of thousands of shoddy pieces of software to blame. The overall quality of video games decreased, driving cartridge prices to bargain-basement levels and wearing down consumers’ patience with the then-brand new industry. As a result, The Great Game Company went kaput. These game show adaptations never saw the light of day, and it remains to be seen if even so much as prototypes of the titles exist to this day. Of Fortune and Jeopardy! became huge sellers. IJE, noticing the huge sums of money their buddies down south were making, decided to publish the games themselves from that point on, thereby directly reaping the fruits of their labor. With 35 employees under the direction of chairman and owner Irv Schwartz, the new imprint would be known as GameTek. 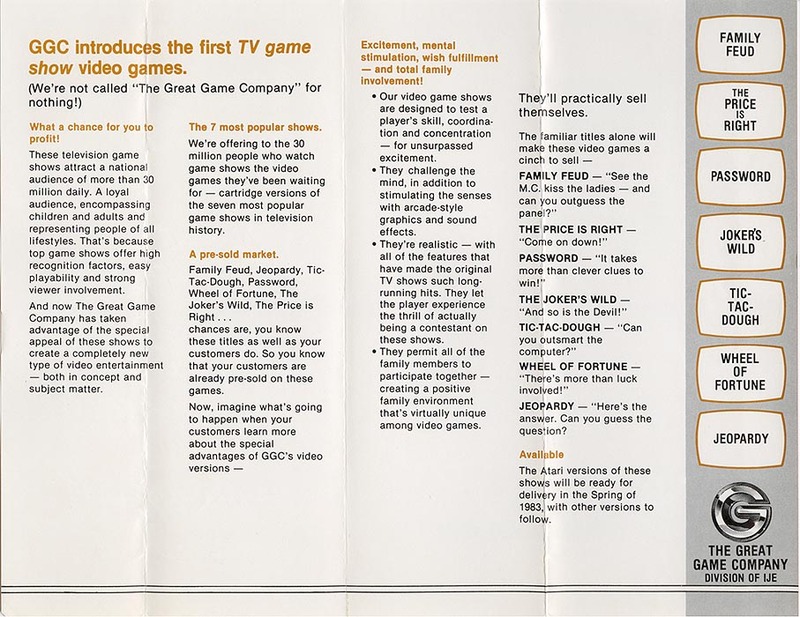 GameTek’s early game show games were programmed by a company called Softie, Inc., founded in California in January of 1983 but moved to Arizona in 1985. The company’s reputation as the “creator of the game show format for the computer industry” eventually led to Softie becoming the sole licensing agent for Merv Griffin Productions and Mark Goodson Productions. This enabled GameTek to put out licensed products based on several wildly successful game show franchises. 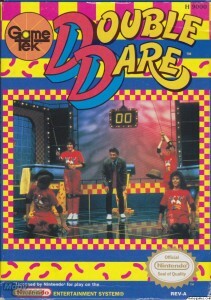 If a game show was popular enough in the late 80s or early 90s, you could bet that GameTek allowed you to play it. 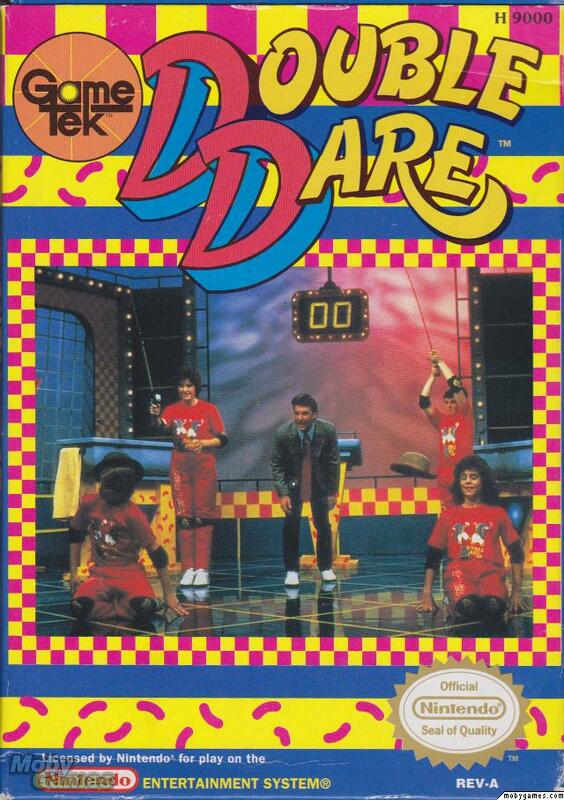 Double Dare for the NES, based on the Nickelodeon show, was complete with an eight-stage obstacle course. Questions and zingers from Hollywood Squares, released for NES and PC, came directly from episodes of the then-current version hosted by John Davidson. When a player hit a Whammy in the DOS version of Press Your Luck, the little red guy came out and did a dance. Family Feud for the Super Nintendo and Sega Genesis featured the Bullseye round, as well as realistic music (GameTek composer Mark Wallace typically composed knockoff scores for most of the game show productions using an Amiga PC with a MIDI interface and Voyetra Studio Pro, since the producers typically didn’t give the music rights to the game publisher). Super Password, Classic Concentration and Card Sharks also got the Softie/GameTek treatment. At the height of Vannamania, Wheel of Fortune was turned into its own upright arcade machine. 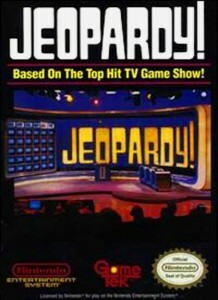 In addition, GameTek was the only company with computer versions of relatively obscure game shows like the CBS word game Now You See It and Peter Tomarken’s syndicated trivia game Wipeout. 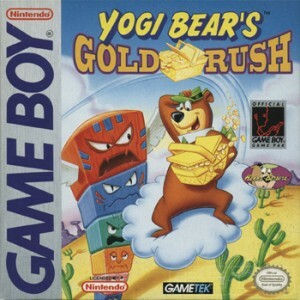 Success was in the cards for the Miami Beach-based game publisher—sales at the end of 1991 were estimated at over $40 million. Once GameTek had established itself as the go-to publisher for game show content, they extended their reach to other genres and licensed properties, many of which were imported from Europe for the North American market. Yogi Bear’s Gold Rush was a Mario-style platformer released for the Game Boy in 1994. The Humans was a puzzle game wherein a player must use the abilities of prehistoric man (starting fires, making spears, etc.) to achieve various goals—think Lemmings, with more people. GameTek was also the name behind the PC version of Capcom’s Super Street Fighter II Turbo. Many of these newer games were now bring programmed by Imagineering, Inc., a developer out of Glen Rock, New Jersey. In 1996, after their venerable Wheel of Fortune and Jeopardy games had been released for virtually every non-Atari game system of the era, GameTek announced Jeopardy! for the Nintendo 64. Host Alex Trebek was on hand at GameTek’s booth at the ’96 Electronic Entertainment Expo as the company previewed what was the most realistic simulation of a contestant experience that had ever been seen on a home console. Little did they know that, within two years of this release, the GameTek journey would come to an end. We went into work the Saturday before, all of us making sure to show up, since we knew some of the GameTek financial people were in town. Our boss was kind enough to call us Sunday afternoon after he heard the news, but the first official announcement was Monday, when we were individually led into our offices to pick up our personal effects and files. It was something of a blow actually… we finally had the finish line in sight, so we all figured that GameTek wouldn’t pull the plug on us, after letting us get this far. As the game machines and players’ expectations get more sophisticated, the time and cost of doing video games rise. Where it used to cost a hundred thousand to do a SNES Wheel of Fortune game, it now costs a million or more to do even a small N64 game. GameTek was too small to survive. GameTek filed for bankruptcy in 1997 before closing for good in July of 1998. In the process, Take 2 Interactive purchased many of the now-defunct company’s assets. As for Softie, its president Arnold Zaler surrendered to authorities in 2009 after it was alleged years ago that the software company was operating as a pyramid scheme. Zaler was convicted of 50 counts of fraud stemming from Softie and several other ill-advised business schemes. Though the idea of the game show video game lives on these days with companies like Ludia, GameTek will always be remembered by its fans for first turning them into contestants right from their living rooms. If anything is obvious from the recent surge of interest in retro video game and computer emulation, it’s that even today, there is a definite charm sustained within these cheesy old games—programmed in Arizona, published in Florida, and thirty years later, enjoyed by game show fans around the world.